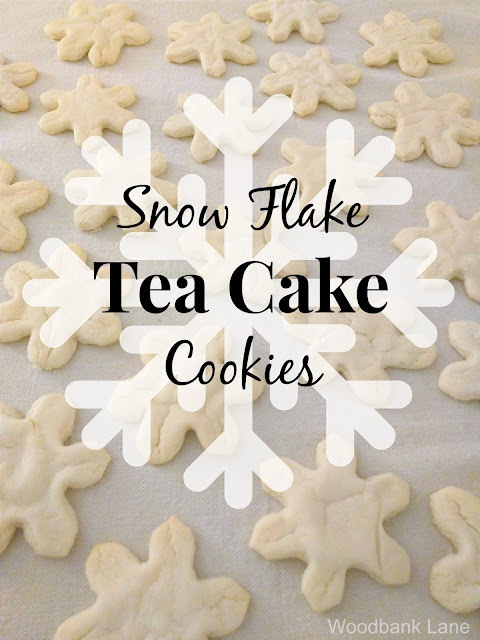 Today I'm sharing a cookie recipe that I made on our first snow day of the year. Hard to believe that was just last week. This week we are averaging highs in the seventies! But, this is Alabama-nothing surprises us. My youngest son's girlfriend came over one night during the holidays with a plate full of these cookies. They are tea cake (short bread) cookies. I had gobbled down about three of them before she set the plate down on the counter. They are my favorite. Her mom Cindy was sweet enough to share the family recipe with me, passed down from her great-great grandmother. They were so good that I asked for permission to share the recipe with you as well. Luckily, I got the go ahead. Preheat oven to 350 degrees. Lightly spray a cookie sheet. Mix first 4 ingredients together. Add the flour. 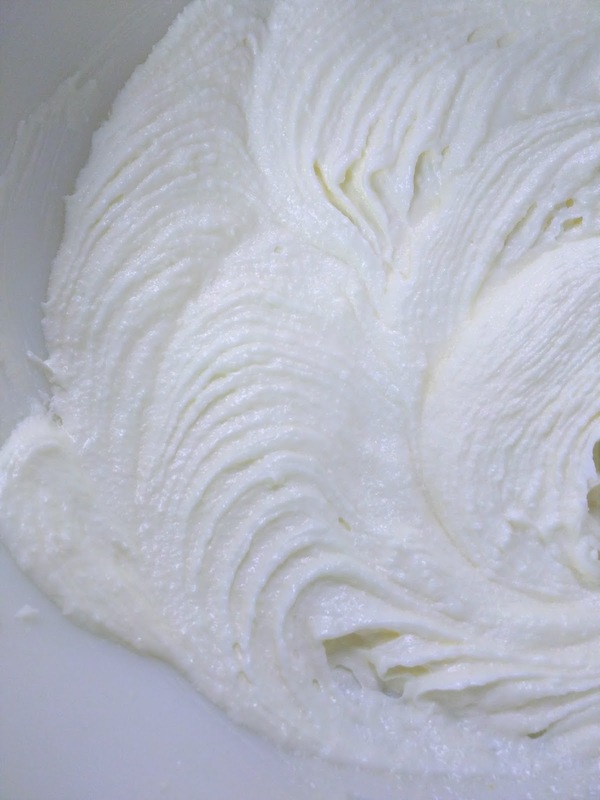 Once the batter is all mixed, sprinkle more flour on a clean counter surface. 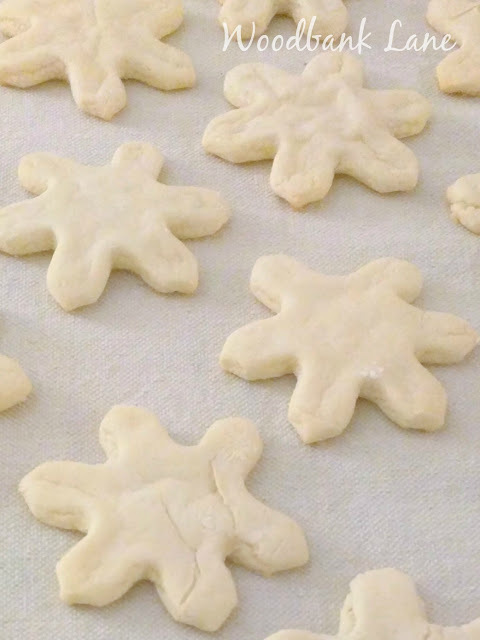 Take a handful of dough, flour a rolling pin, roll out, and cut the cookie dough into desired shapes. Roll the dough until it's 1/8 inch thick. Sprinkle as much flour as you need on your surface, your hands, or the pin to keep the dough from sticking. I only had Christmas themed cutters like stockings and Santa, so I went with the snow flake cutter. After all, it was a snow day. 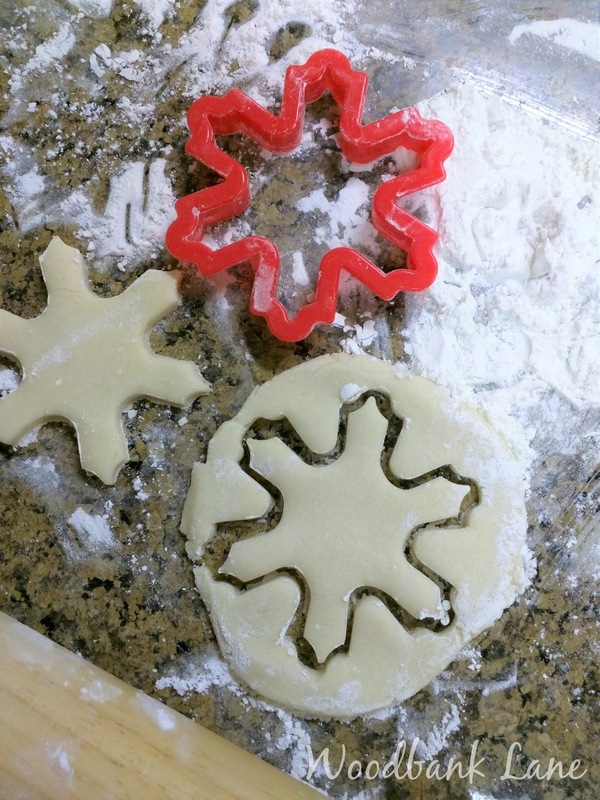 :-) If you don't have any cookie cutters, use the end of a cup or glass. 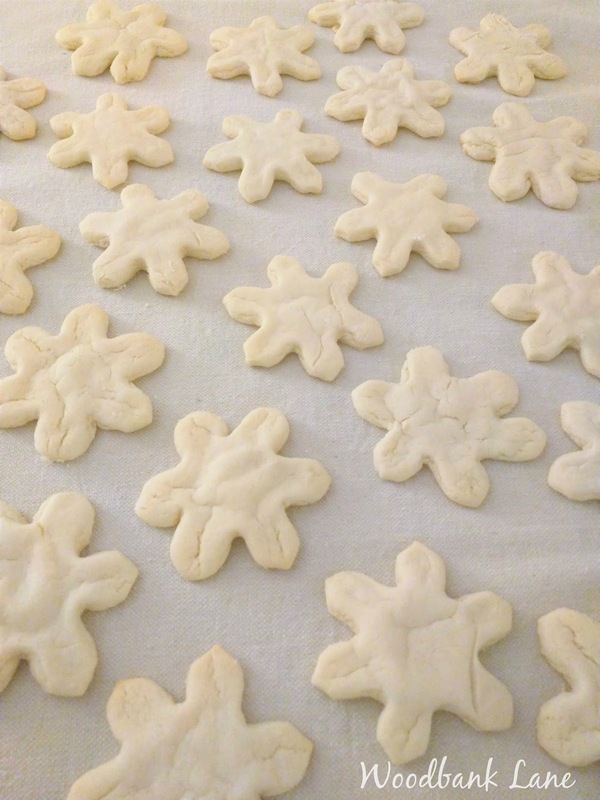 Bake the cookies for 8 - 9 minutes. I halved the recipe to reduce my calorie intake. I knew I would probably eat two or three (or 12!) Unless you have a large group to share with, half made a good amount. For an even sweeter sweet, add vanilla icing. Thanks again to my friend Cindy for sharing her family recipe.